What are Jumia Global Products and how do I identify them on the website? Jumia now enables you to shop for products from sellers located overseas. 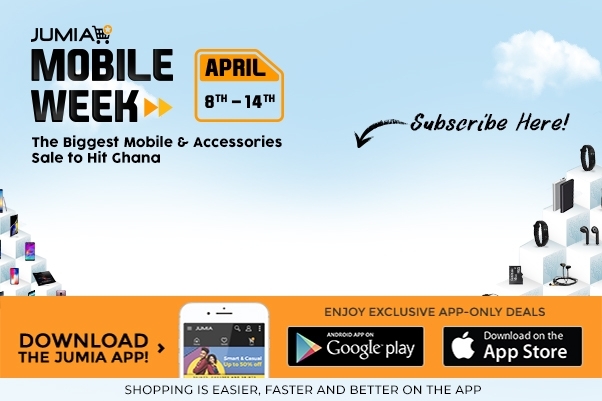 Those products will be brought by Jumia to Ghana and delivered to you door step. When shopping on Jumia, you will notice that some products are flagged as "Shipped from overseas". They also have the "Jumia Global Logo" under the product name. Prices include international shipping and customs. Jumia protects you against potential reevaluations at customs clearance. Local delivery fees can be charged at checkout depending on your address. You can pay for your orders in Cedis using the authorized online payment methods on Jumia. Payment on delivery is not accepted. Once your order is shipped, Jumia cannot halt delivery as the import process has started. Cancellations are therefore not authorized after order confirmation. The delivery timeline is indicated on the product page under the name of the seller. This delivery timeline is in business days, meaning it doesn't take into account weekend days and public holidays. It includes the time for the seller to fulfill the order, the international shipping to Ghana, the customs clearance in Ghana and the first attempt to deliver your order. What happens if I did not receive my product within the estimated delivery time? In case your item has not yet reached you within the estimated delivery time displayed on the product page, please contact our Customer Service at [email protected] or call us at 0302740630 between 8am and 6pm on weekdays for clarification. You will be able to enquire on the estimated delivery date and you will be given the choice to cancel your order if the delivery timeline was not respected. No, all “Shipped from overseas” products are delivered at no additional cost to you, as the price includes customs fees and import duties. You are not expected to pay any additional duties or taxes. If you are asked by Customs or our logistic partner to pay duties, please contact our Customer Service at [email protected] or call us at 0302740630 between 8am and 6pm on weekdays for clarification.